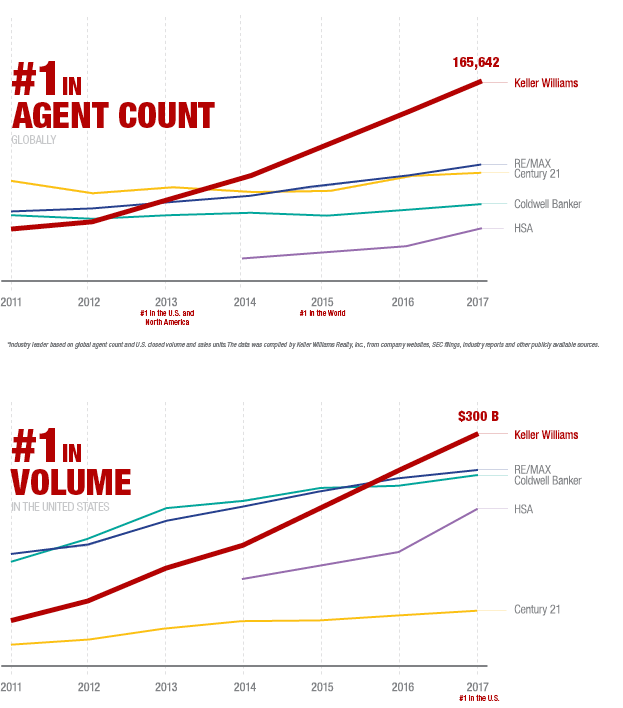 Keller Williams become the number one real estate franchise in agent count, closed units, and closed sales volume in the United States. In 2017, the company’s 155,000 U.S. agents closed more than 1 million units, generating more than $300 billion in sales revenue. We’re proud to be in business with associates who are focused on growing big businesses so they can fund their lives and create opportunities for their families and we would love you can be part of this great company. # 1 happiest place to work in America by Forbes.